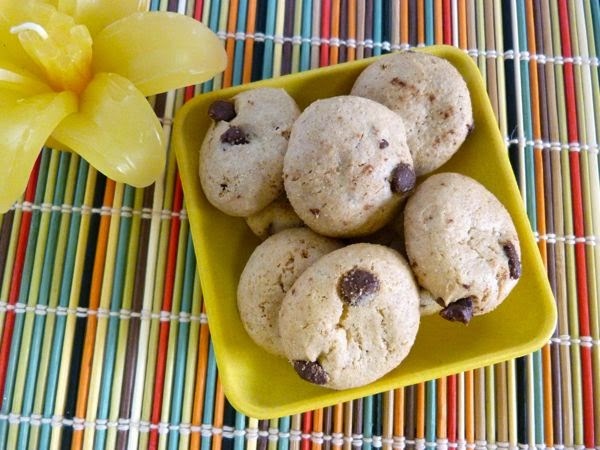 Today was Day #13 of Chocolate and Gluten Free Cookie Theme Week. These Mini Crunchy Chocolate Chip Cookies from HomeFree, LLC (Windham, NH) were small enough that I could enjoy a festive little pile of them on a tiny dessert plate. Cute! 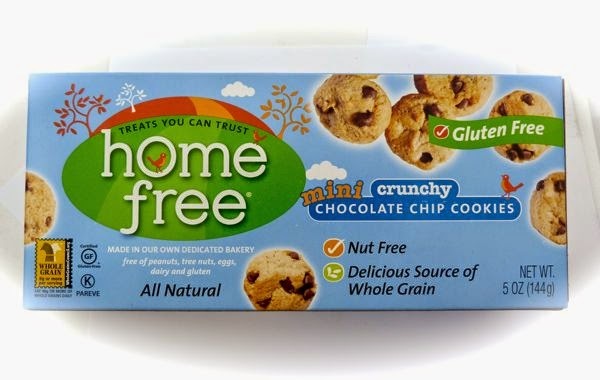 Gluten Free, Nut Free and made from "Whole Grain" -- these crunchy, bite-sized cookies dotted with chocolate were made with a gluten-free whole oat flour base.